Another day, another brunch? Not this time. 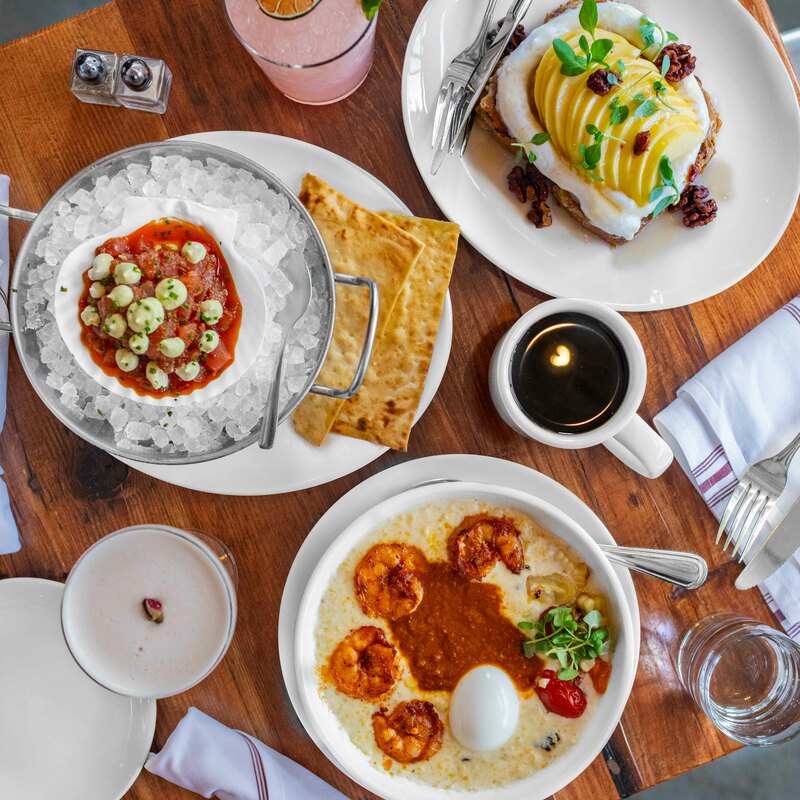 Curio SF combines flavors and influences across multiple cultures and geographic areas, but everything is brought together seamlessly with a southern foundation and it couldn’t have been more bomb! Curio SF is located in the vibrant Mission District of San Francisco, CA and fits in perfectly with the scene there. They have an incredible selection of cocktails on top of their top-notch food, and we were seriously stoked to try some things out. Well, I know why you’re here and I don’t want to keep you waiting, so let’s dig right in! This was probably the best french toast I’ve had in a very long time. The toast was perfectly moist, and it was literally like eating a cinnamon roll with all that other amazing stuff on top! Curio SF prepares this masterpiece with mascarpone, apple jam & cider vinegar syrup. There are just so many complimentary flavors with the sweetness, tartness, and creaminess… everyone just needs to try this now! This was another amazing dish from Curio SF and it’s perfect for those of you who are feeling like having something more savory rather than sweet. The consistency of the grits is impeccable, and it’s creamy with a bit of texture. 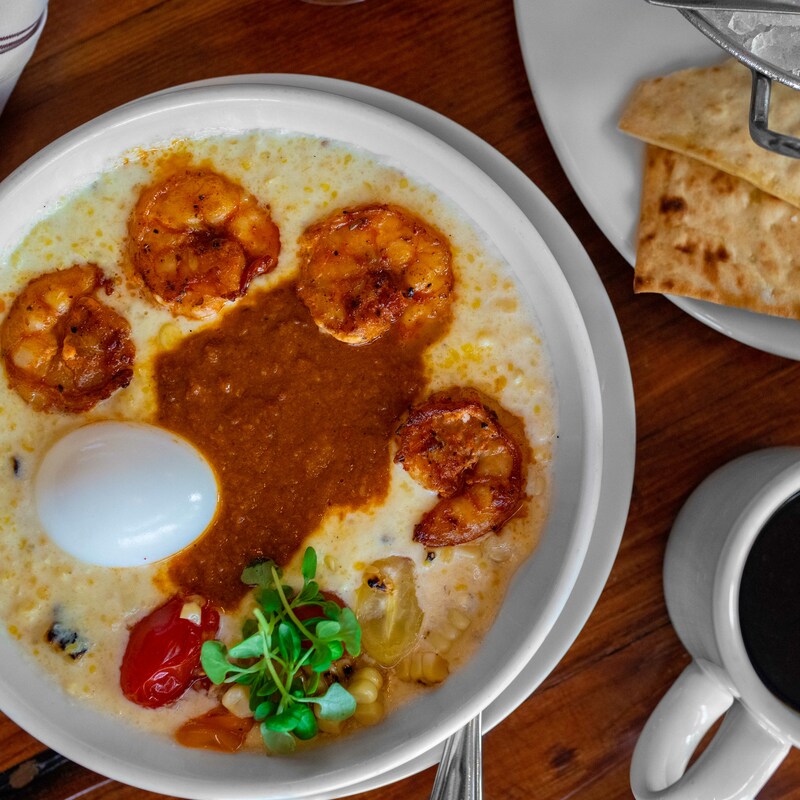 It consists of wild gulf shrimp, a 6 minute egg, and tasso ham gravy. I always worry that shrimp may be a little chewy, but not these! This dish is a hearty one, so make sure you’re hungry! The Ahi Tuna Tartare from Curio SF was, personally, my least favorite of the three dishes in this post, but that doesn’t mean it’s not worth getting! You can tell there was a lot of thought put into the creation of the dish and especially the textures. It’s got avocado mousse, fresno chili, and lavash crackers, and each piece place a crucial role. just the tuna and the mousse would leave something to be desired, but adding the lavash crackers brings that crunch that ties the texture and flavors together. The Mermaid was a delicious cocktail that’s on the more refreshing and light side, so if that’s your jam, this is the one for you. It’s fruity, but you still notice the alcohol. It’s made up of vodka, grapefruit, raspberry, mint, lime, seltzer, and peach aperitif. It’s a big glass, though, so if you’re looking for something tasty and great bang for your buck, don’t pass this one up! The other cocktail we tried at Curio SF was the Unicorn, which is a straight up beauty! It’s stronger than the Mermaid, so if you’re sensitive to the taste of alcohol, this may not be for you, but I honestly thought it was incredible. 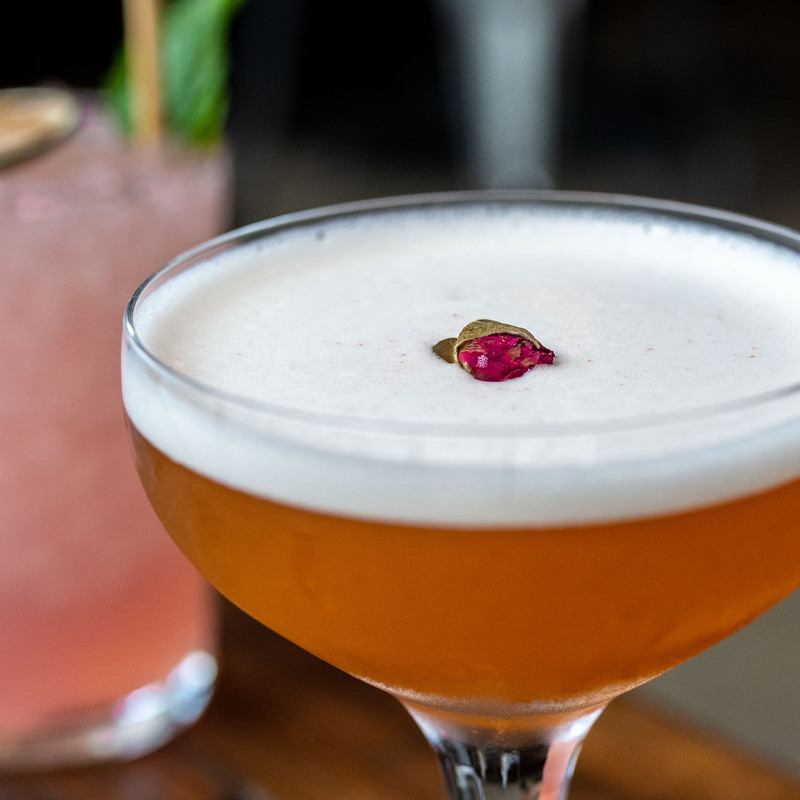 It consists of vodka, pisco, strawberry, szechuan, lemon, amaro, benedictine, rainbow bitters, and egg whites. 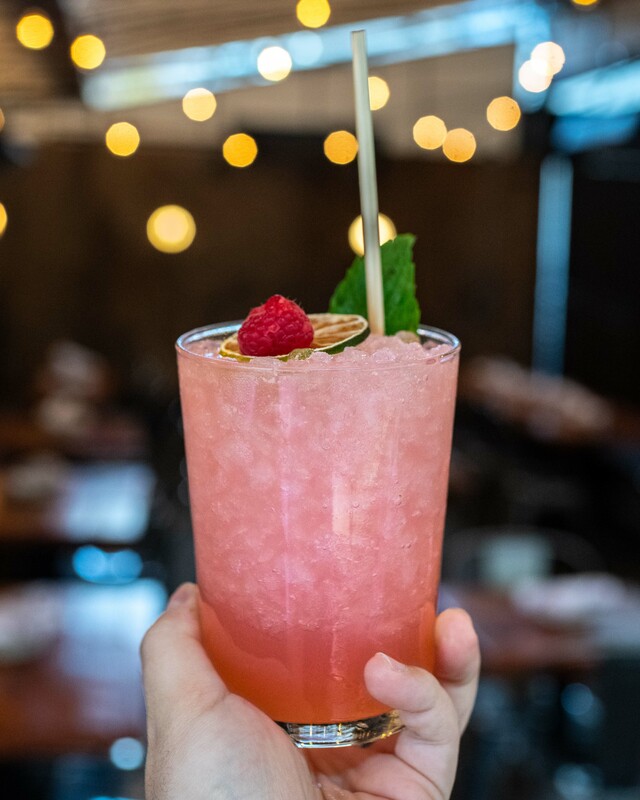 It always amazes me when bartenders and mixologists can fuse so many flavors and ingredients together in perfect harmony, and you should definitely consider it when you’re there! So that’s that! This is definitely a contender for best brunch in SF, and is definitely more unique than many of the other places I’ve been. 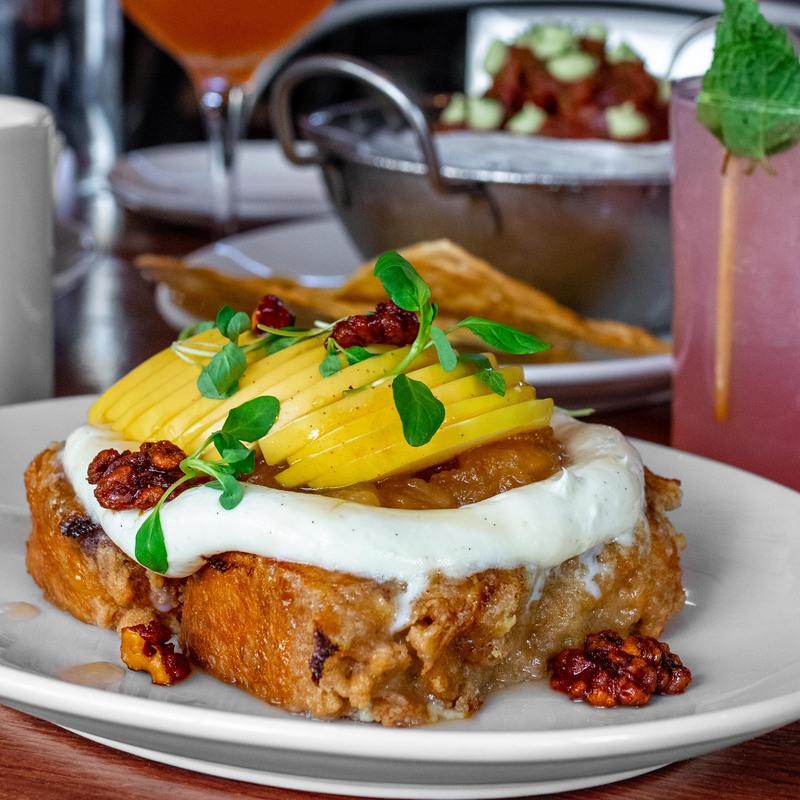 Lots of other brunch menus include lots of pancakes and waffles, but Curio SF really steps outside the box with their offerings and we couldn’t be happier they’ve made a place for themselves in the city. Till next time, Nomsters! For more awesome San Francisco Bay Area recommendations, check out our SF Bay Area tab HERE! Next Post Barrel: The Best Carbonara in DC?